Please provide measurements in millimetres (mm) wherever possible. Please enter the width first followed by the height. To convert from inches to millimetres, multiply by 25.4. 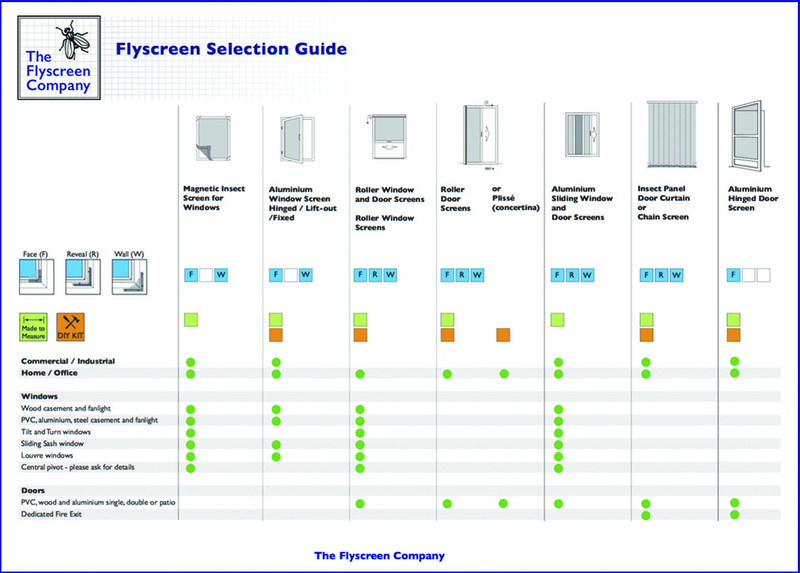 All made to measure screens are made to the finished sizes you give us, which must be the outer maximum screen dimensions you need. The measurements you provide will be the aperture plus the width of the clear flat surface needed for the flyscreen frame to rest against. The aperture is measured to the inner edge of the flat surface the fly screen will be fixed to; for face fitted screens any bevelled edges on the frame must be included as part of the aperture measurements. 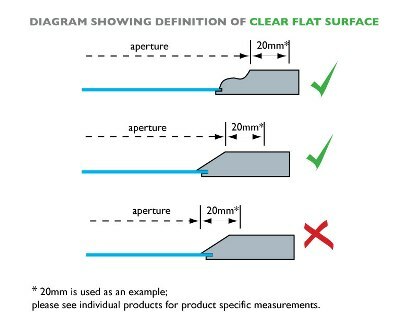 The clear flat surface measurement will depend on the width of the fly screen frame; in the diagram to the right 20mm is used as an example. Please see individual products for product specific measurements. We use your exact measurements - we do not add to or take anything from them them. Space for hinges and catches should not be included in the measurements you provide, but please ensure you have allowed enough spare to fit them (details are shown for the individual products). If the size you require is bigger than the maximum shown on the individual product, please let us know and we will advise on the most suitable screen option. Made to Measure screens cannot be altered after fabrication; we cannot provide refunds due to incorrect measurements. Please follow the individual product measuring instructions carefully. If in doubt, please ask for advise. 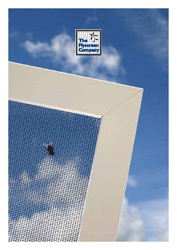 We can supply custom made insect screens and doors manufactured to your exact requirements. Please see our Measuring Instructions for full information on how to take the measurements required. When you have decided which product you are interested in, simply complete the details requested (height/width/colour etc.) and click on the Add to Quote button. Add further products to your enquiry as you need. You can view your Quote at any time by clicking on the My Quote link from the top menu. When you are ready to submit your enquiry click on the Checkout button. On receipt of your enquiry we will calculate the cost and contact you with details of the price, production time and how to proceed. Build a quote on our website, entering your individual measurements. Submit your quote via the website. We'll send you back a confirmation of cost. You can choose to proceed with the order by following the link we send with your confirmation, which will take you to our website where the order can be checked-out and payment taken via our secure payment gateway. We'll manufacture and despatch your custom Made to Measure products.